Questions of scientific ethics were anything but hypothetical during the 1950s and ‘60s, when chemists were developing napalm and physicists were perfecting the weapons their countries would use if the Cold War turned hot. Jeffrey Kovac was a teenager at the time. “My interest [in scientific ethics] came from the fear of nuclear war during my childhood and me wondering about the ethical questions that the scientists who developed the bomb might have had,” he said. Kovac graduated Phi Beta Kappa from Reed College in 1970. In 1976, after earning a PhD in chemistry from Yale University and completing a post-doc at MIT, Kovac accepted a position at the University of Tennessee, Knoxville, where he is still a member of the faculty. During the first decades of his career, Kovac pursued a conventional research agenda and taught courses in general, physical, and polymer chemistry. His research focus began to shift in the late 1980s after he developed a new course for undergraduates. Since first publishing The Ethical Chemist in 1993, Kovac has focused his energy on researching and writing about scientific ethics from philosophical and historical perspectives. Though he still teaches chemistry courses, Kovac’s research has moved from the sciences to the humanities. He now writes on ethics, history, and pedagogy, mostly for scientific audiences and advocates for ethics education. After two decades of teaching and writing in his new fields, Kovac has been recognized by the international scientific community. In 2016, the Swiss Academy of Sciences invited him to deliver a number of lectures inaugurating the organization’s series on ethics, and earlier this year Kovac participated in a panel on scientific ethics at the Lindau Nobel Laureate Meeting. Kovac explained the wide range of his scholarly interests by pointing back to the first years of his academic life. “My transition from full time research in chemistry to scholarship in the humanities is the result of the liberal arts education that I received at Reed College where I was able to study history and philosophy in depth in parallel with chemistry, physics and mathematics,” he explained. Kovac has demonstrated his commitment to Phi Beta Kappa’s mission in other aspects of his professional life. 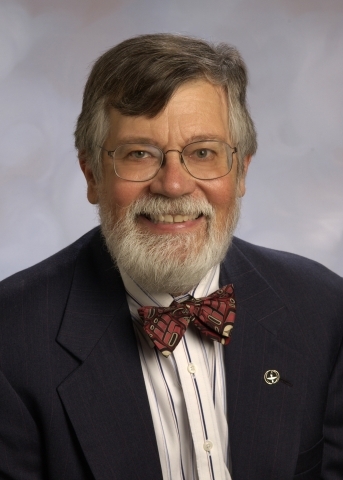 He leads College Scholars, the University of Tennessee’s interdisciplinary honors program, and has held a number of positions in Phi Beta Kappa, first as president of the University of Tennessee chapter (1989-1990 and 1999-2016) and now as a member at large of the Phi Beta Kappa senate and as a member of the selection committee for the Phi Beta Kappa Book Award in Science. Note: A revised edition of The Ethical Chemist will be published by Oxford University Press in the near future. Grant Currin (ΦBK, University of Tennessee, 2017) currently lives in Mallorca, Spain, where he works as a part-time English teacher. The University of Tennessee is home to the Epsilon of Tennessee Chapter of Phi Beta Kappa.